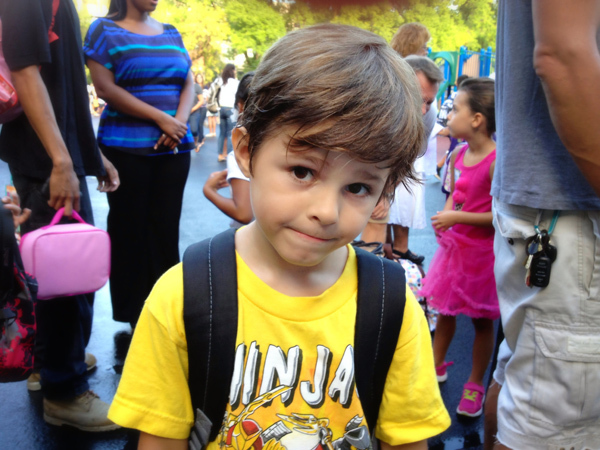 Remember my Little Man who missed kindergarten eligibility last year by 4 weeks? He was ready. Not sure Mommy was...his little face breaks my heart...but my Little Man was ready. I told him I was going to go, kissed him on the head, and told him I would see him at pick up. I love you too Little Man...knock 'em dead this year! Congrats to your new kindergartener! I hope he has a great school year.